Bhima's Gym or Bhimana Garadi is a very big cave where Bhima (one of the Pandavas from the epic of Mahabharata) practiced warfare.One Sunday early-morning, we decided to explore this hill, which is located about 17 km from Kolar. We spoke to one of our friends and collected some information about this place. We left to this place early morning so that we could come back early as this seemed a small hill to explore. This time, we chose to bike-ride (motor cycle) as it was close-by and it had been long since we went on a trip with out two-wheeler friend!. On reaching Tekal and inquiring a shop keeper about the route to Bhima's Gym, he gave us directions and additionally advised us not to explore as he thought it was really difficult to reach there and even though we reached, the lady with you will surely not make it. For a second, I thought if I can definitely do it, then my partner in crime can do it better! 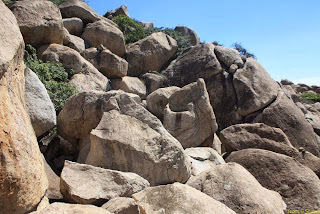 We came closer to hill and again inquired a person, who was surprised to hear that we wanted to go to Bhima's gym. After a pause, he gave us directions and told us to be cautious and advised us to take a local person along who would be well versed with the routes and the place whereabouts. Now that we reached the base, our only question was from where to start our trek!? It seemed like there was no said-route to the hill-top. 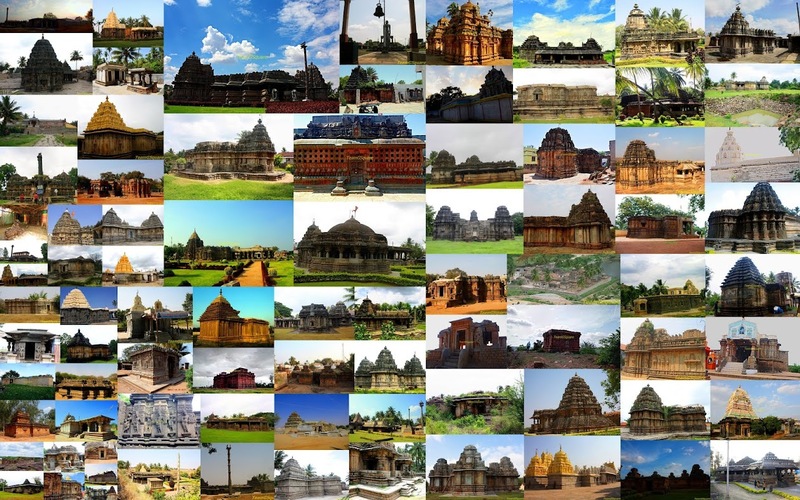 A last and final query lead us to a temple, where we parked our bike (which unfortunately ran out of fuel just as were riding towards the temple) and looked out for a reasonable starting point. Last but not the least, another query was enough to lead us into confusion regarding the point of start of climb. We met a person who was tilling his land and told us to go back to the temple as the climb begins near the temple and follow directions based on a pile of three stones kept at regular intervals (an intriguing clue it was! )and to take a guide along. Basically, we were being tossed from here-to-there on a regular basis for about 2-3 times between the temple and the tiller's land!! and then Alas!! Since we failed badly in getting any guide, we decided to explore the hill on our own, which was partly a really stupid decision, which we realized only later. As it was a small rocky hill, we gauged the level of trek would be medium-difficult and we can make our own way to the cave. 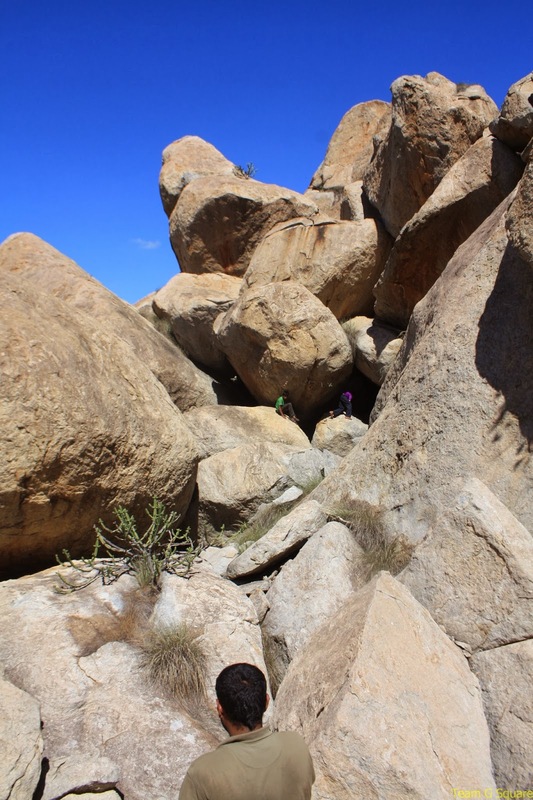 As we climbed slowly on the rocks and moved further, we found the rocky terrain quite difficult to trek. 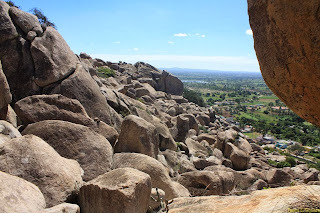 The terrain was as though huge boulders of rocks were just placed next to each other and above one another to create deep spaces between them, it was scary to even look down! As we proceeded, we went through the inside of caves, sometimes over the rocks, and as time passed we reached a point from where we could not find a route further.We were lost. As it was quite sunny that day, and the trek itself was tiring enough, we rested a while. As we discussed how to go about now, we heard two boys chatting and inquired them about the route. 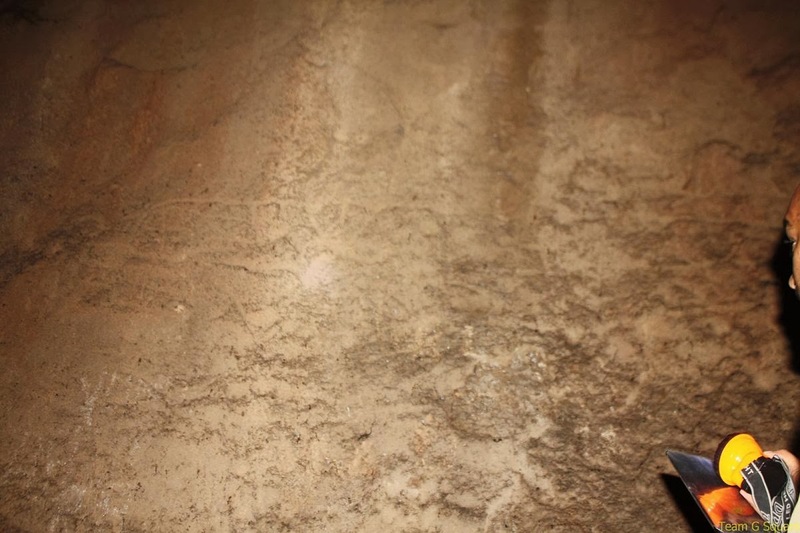 Though they were initially not that confident, they decided to join us to the cave. It became a 4 member team exploration now! Jumping over and crawling beneath the rocks and caves, we reached a place full of trees, from where the two boys also were unaware of the route. We climbed a tree that seemed not climbable at first and what an experience!. We climbed and passed over the tree and besides, the boys were running out of time since they had go home to take their cattle for grazing. We insisted that they can take leave once we reached Bhima's gym. They kindly responded and agreed and lead us to the cave. On reaching the entrance of the cave, we realized the it was a huge cave and one of boys innocently joked that a big joint family can live here happily (what a thought!). 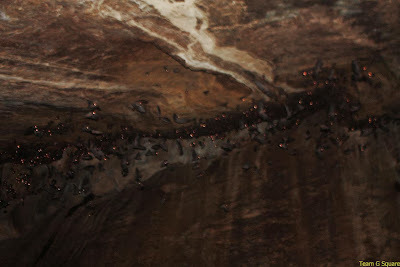 The cave had thousands of bats which proved a hinderance in exploring the cave to the fullest. We saw the marks made by Bhima while practicing warfare. Our camera too ran out of battery. As we were busy figuring out the way and following our express guides, our camera did not have much work to do and so we didn't miss it much. Since the boys were in a real hurry, they bade us good-bye and left without waiting for us! Fair enough, we thought. Also since we had reached that far, we thought the descent would be possible by us. Without any morning break-fast, we were hungry to the core now and had also finished drinking all the water we had carried. The arrows at the cave directed out towards the exit and following those, we reached up till a certain point , from where we unable to find the way ahead. We tried all possible paths but in vain. Atlast, somehow by chance, at some corner, we spotted a pile of three rocks! It struck our minds all of sudden about what the tiller said. It gave a sigh of relief to know we were somewhere close by to being on the right track. From here, we decided and followed the pile of rocks. We proceeded further and every now and then found the pile. Suddenly, for a long distance the pile seemed missing or we had missed the pile. We did not find the rock pile. We began to run in all directions to find the way out but all our attempts seemed futile. Finally, we sighted a pile on top of a rock that seemed impossible to climb (Place A). We tried to find the way to reach that pile of rock using different ways but of no use. We then decided to trace our way back to the gym as there was another route from main cave to reach to the base from the other side. After some time on our way back to the gym, we stepped inside a cave and then blank! Lost, we were. Neither here, nor there. Bats! Bats!! Up, Above and Everywhere! This sounds and looks like an amazing adventure!! Can't wait to read the next installment!! Hope your week is going well!! looks like a rugged climb. bat cave? not so fun. Wow, awesome adventure. Never knew about this place. Thanks for sharing this. Oh my god! Perfect setting for a horror movie with adventure-gone-wrong theme! I would have panicked like anything if I had been in your place. I always remember all those movies whenever we are stuck somewhere. very adventurous and scary at the same time! 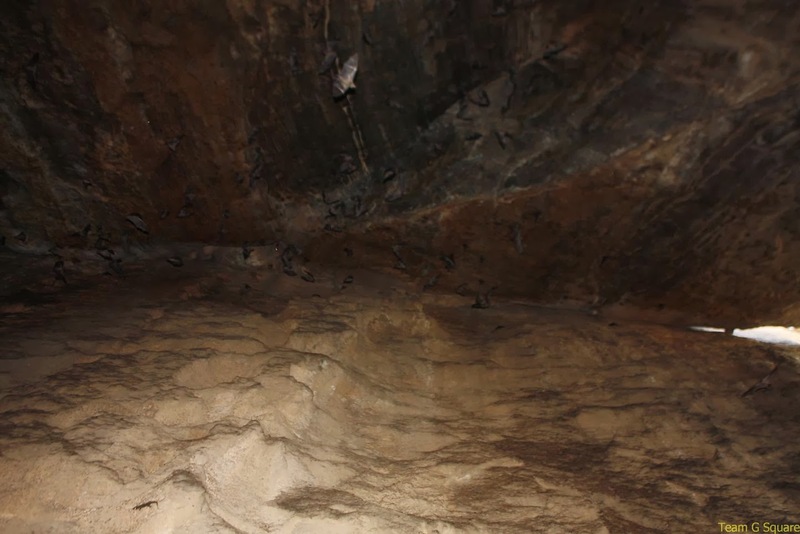 It is fascinating to see, but I would be fearful of the bats..Great photos!